As summer gives way to autumn, we’ll barely have time to appreciate the landscape’s colour change before winter will be knocking. For some, winter means cosying up by the fire and enjoying time indoors – while others are loath to say goodbye to the sun. Whatever your stance on the season, one thing’s for certain: in order to ensure your garden is fit for the next barbecue season, attention must be paid. Fortunately, our friends over at Jolly Good Loans are on hand to help. Today, they’ll be providing some essential pointers to help you protect your garden furniture against the harsh weather that is inevitably coming. When it comes to protecting your garden furniture, you’ll need to consider the types of materials your items are made from, as this will help you decide on the best method for protecting each product. 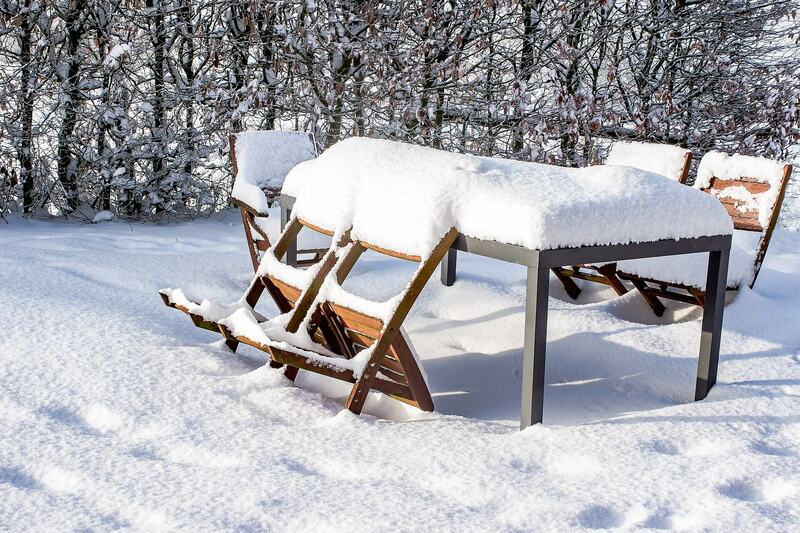 If you’re happy for the winter elements to naturally weather your wooden garden furniture, then they can be left outside with little maintenance required – just apply a lick of sealer before the start of the season to protect the timber. If you’d rather keep your wood looking brand spanking new, investing in a furniture cover will do the trick – although we’ll get to that in more detail soon. The resistance of metal furniture during the colder months varies, depending on what type of metal it’s made from. 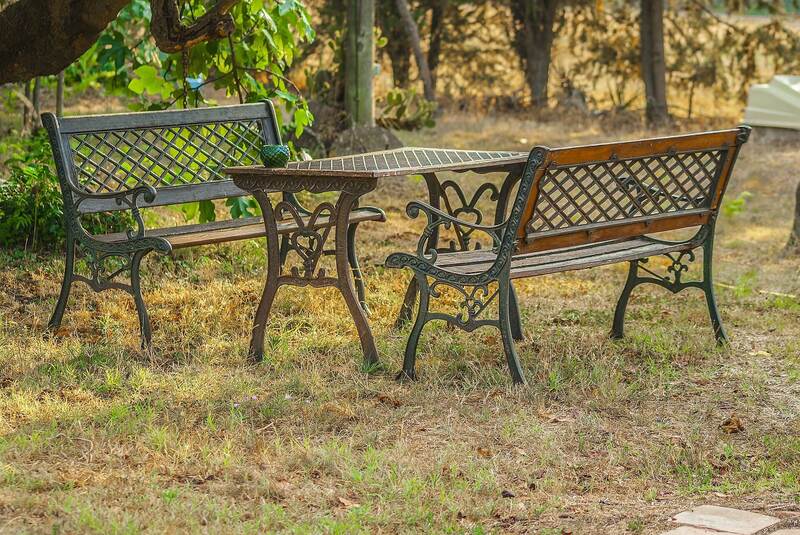 Cast aluminium furniture is fine left outside during the colder months, as it develops a protective outer exterior when exposed to air, making it resistant to both corrosion and rust. Wrought iron, on the other hand, is best stored away if it all possible. If you don’t have a garage or shed, lightweight furniture can easily be stored in the cupboard or under the stairs. For larger pieces, protect them by investing in a good furniture cover. Ensure you invest in a good-quality furniture cover that is both water resistant and breathable to prevent mould or leaks, making sure all furniture is dry before cover. Rather than covering all your furniture with one big patio cover, try and find smaller covers that fit over individual items for more secure protection. Opt for covers that can fasten tightly, thus making sure your furniture remains under wraps during the windier days and nights. Even when covered and secured, it’s best to move your most vulnerable furniture into shelter if at all possible. From the garage to the utility room, if you have the extra space and are able to bring your much-loved items indoors, your budget will thank you when the weather once again turns warmer. Not all plants and shrubbery will be suited to the colder climate, so as you say goodbye to your summer plants, why not move your planters and troughs indoors and treat them to a touch of creative sparkle? This could be the perfect winter project and will help you breathe life back into your tired pots and containers in time for spring. Either way, avoid leaving it out on the lawn, storing it on a solid flat surface like a patio or decked area instead. This further reduces your furniture’s exposure to moisture, protecting it from rotting away amongst the winter wind, rain and snow. It might feel as though the snow has only just stopped falling, but the reality is that winter is knocking on our doors again. The good news is that if you start taking steps over the coming months to protect your outdoor areas, you’ll be able to enjoy your garden furniture for years to come.